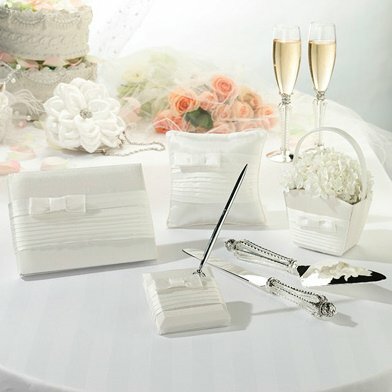 Modern and graceful in design, this guest book is a tasteful addition to your registry table. 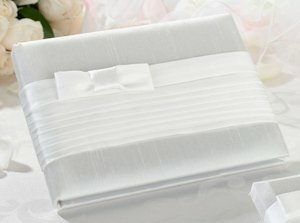 The simply pleated white satin cover of this 8.5" guest book is accented by a single, squared bow. The tailored covers holds 55 dual-sided pages which will accommodate up to 990 signatures under the scripted heading "Guests". This up-to-date look is also available in rich taupe.